Some time ago Martin bought a Tokyo Fixed ONO at our store. He was so kind and send us some pictures of what he made of this masterpiece. Victoire Cycles High FLange Track hubs with BLB Notorious 90 mm carbon rim rear and 50 mm carbon rim front, SRAM Omnium crankset, Chris King headset and Thomson parts make this bike very exclusive. Definitely our style. Our first build with the new Tokyo Fixed Dart V2 frame. 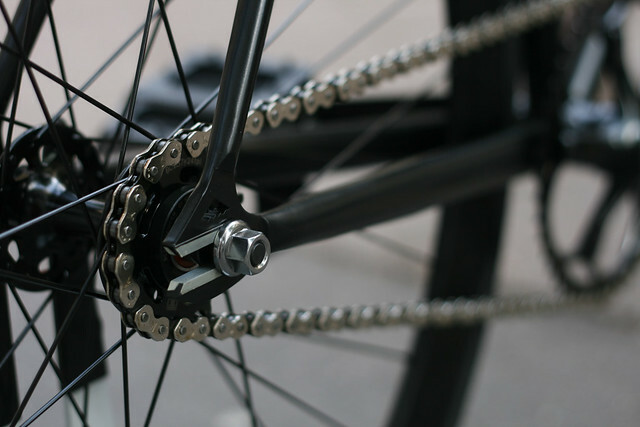 The oversized steel frame was combined with a light Unknown full carbon fork, a H+SON SL 42 wheelset and a SRAM Omnium crankset for a very stiff ride. 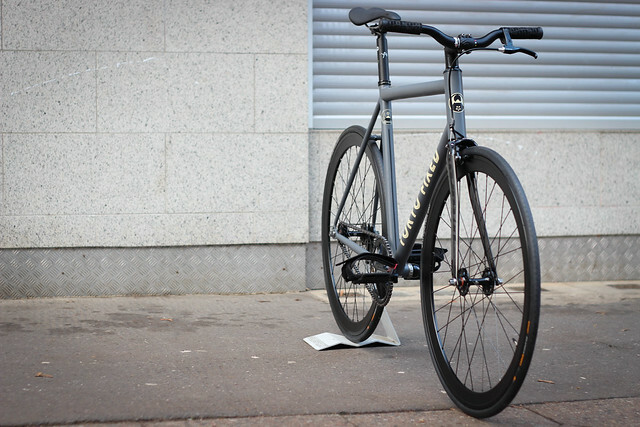 We just got the first example of the brandnew and redesigned Tokyo Fixed Dart V2. 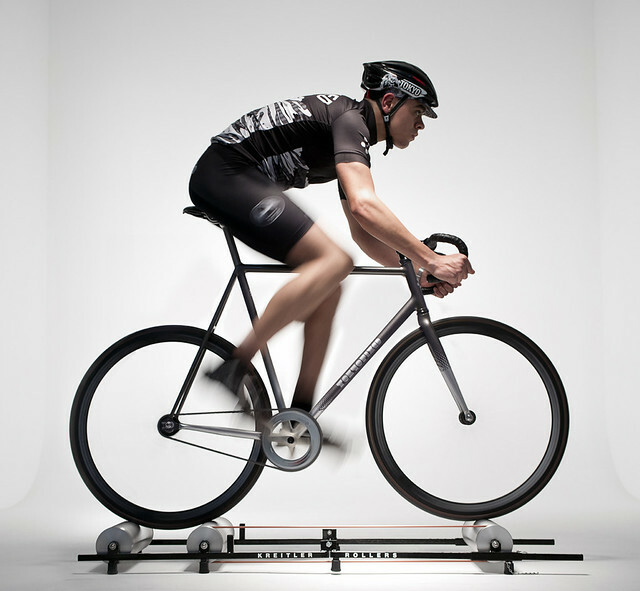 The huge, oversized tubes keep the weight low but the frame stiffness incredibly high. Combine that with the gorgeous ride quality of steel and the 44mm headtube that makes the front end rigid and the steering precise, you’ve got a frame that can do everything from Sunday track best to daily beater. Come to the shop and have a look! of course we can order all other sizes for you! 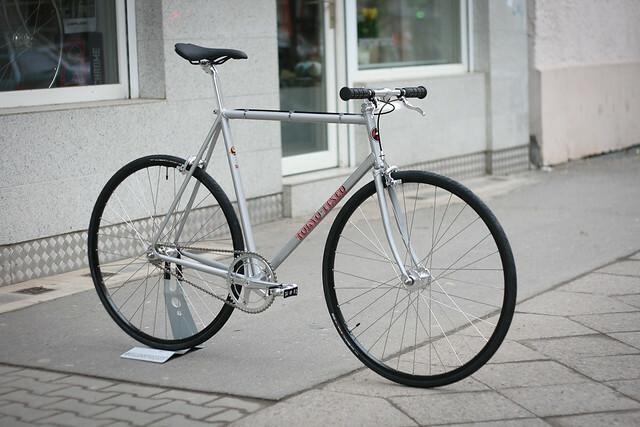 Another beautyful Tokyo Fixed S2 singlespeed bike left out shop some days ago. 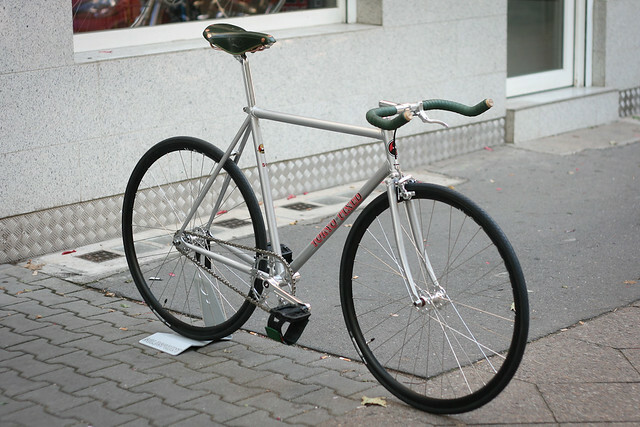 Equipped with H+Son TB-14 rims, Gran Compe track hubs and the beloved Sugino 75 crankset. Wir haben endlich den ersten Tokyo Fixed ONO Rahmen im Laden. Der muffenlos gelötete Verfolger Rahmen aus einem Columbus MAX / Zona Stahlmix ist agressiv, steif und vor allem schnell. Ab sofort bei uns erhältlich. Diese Bilder vom Tokyo Fixed Dart sind zugegebenermaßen etwas dunkel geraten. Das ändert aber nichts daran, dass ein schöner Rahmen mit einem hervorragndem Preis-Leistungsverhältnis ist. 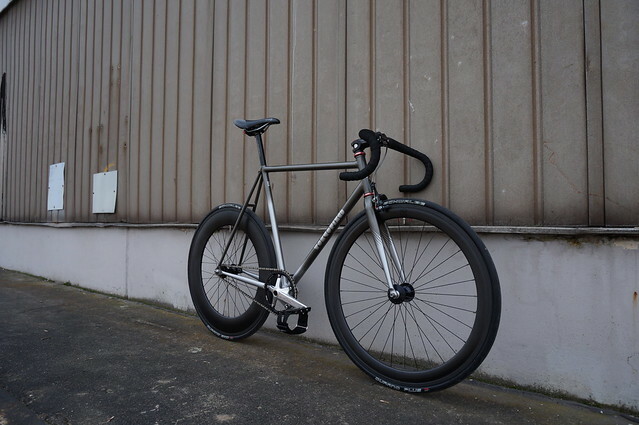 Der S2 von Tokyo Fixed ist ein gemuffter Bahnrahmen mit einem sehr schönen, klassischen Finish. Dieser Aufbau mit H+Son Archetype und Brooks unterstützt diesen Eindruck zusätzlich.